Our manufacturing capacity is equipped to produce products from micro to large scale with precision. Our products range from an O ring of 1mm (ID) x 1mm (CS) to 1000mm (W) x 2000 mm (L) Rubber liners. Our plant is euipped with Advanced and automated injection moulding machines delivering consistent quality products which also enhances our capability to meet the most stringent specifications and needs of the demanding industry sectors we are supplying to. 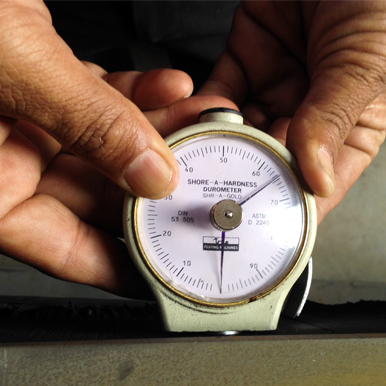 Our Compression moulding capacity ranges for products of small scale to our larges product, compression moulding has been the most dominant moulding method in rubber industry. At our plant compression moulding has been environmentally effective with productive and consitent output. Compression moulding with vaccuum has a superior advantage than conventional compression moulding assuring consistent and stable products at all times. 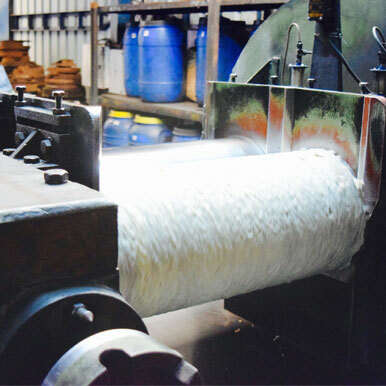 In any rubber industry mixing is where the product process starts and our team of experts with a vast expereience of mixing, embrace the latest technology in terms of innovations in chemicals and elastomers to deliver a product which meets its specifications and proves the same in field. Rheomter, universal testing machines, physical and chemical testing as well as any specific requirement can be tested at our well equipped laboratory. J-221, MIDC, Bhosari, Pune 411026. INDIA.